Compatible Black Toner Cartridge with 7,200 page yield. 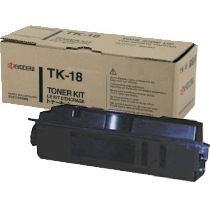 Equivalent to Kyocera Mita part number(s): TK-18, TK18, TK-18CS, TK18CS. 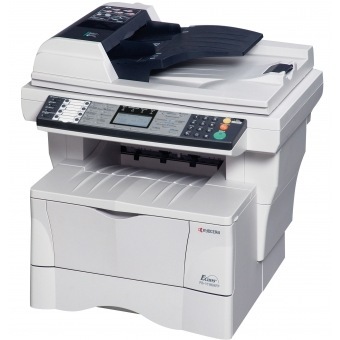 Fits the following model(s): Kyocera Mita CS-1820. Buy our high quality compatible toner for Kyocera Mita CS-1820 with confidence. Join thousands of happy customers who have found our compatible products are equivalent in page yield and print quality. For our compatible products, we offer a 100% Satisfaction Guarantee allowing you to return products within 6 months if you are unsatisfied. 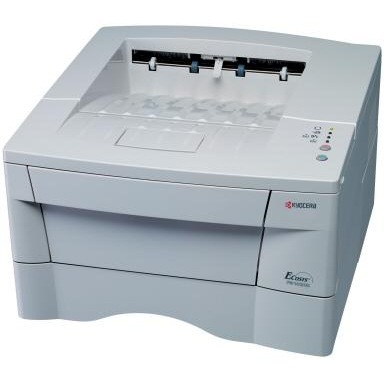 As a compact all-in-one monochrome laser printer, the Kyocera-Mita CS-1820 can deliver text documents for home and small offices from any desktop space. The first duplicate can be output in as fast as 10 seconds and the first print can be produced in less than 8 seconds. 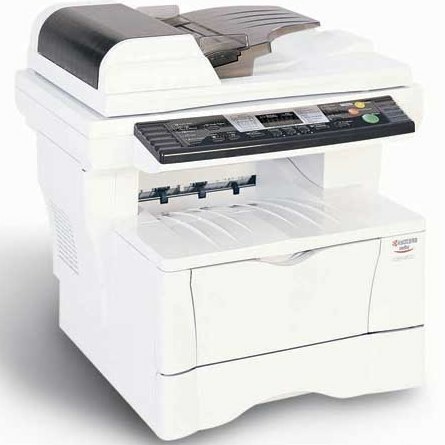 Speeds of up to 18 pages per minute on letter paper and 15 pages per minute on legal allow the CS-1820 to meet the needs of small to mid-volume users, and they will also benefit from the low cost of Kyocera-Mita CS-1820 printer toner. The machine can be classified as a "desktop" printer because it has a size of only 19x16x15 inches that will take up hardly any space, fitting comfortably on the top of a desk. 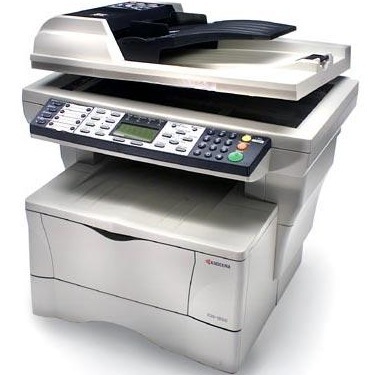 Along with its size, positive expert reviews include pros such as a standalone fax feature for walk-up faxing, fast text prints, and a built-in automatic document feeder with a capacity of 50 sheets to provide continuous multiple-page faxing, scanning, and copying. Paper-handling options include a 250-sheet drawer and 50-page multipurpose tray for media of varying sizes. To boost the media input capacity to 550 pages, users can purchase an optional 250-sheet paper drawer. Connection opportunities include wired options like a Parallel port or USB port, and an ethernet port for network sharing capabilities. Due to the unit's single Kyocera-Mita CS-1820 toner cartridge system, it saves users money over a color device with multiple supplies. Users also have the option to spend less money by purchasing compatible toners that are less expensive than genuine supplies. The black Kyocera-Mita CS-1820 toner cartridge can output up to 7,200 pages, which is a decent capacity for the volumes of smaller workgroups. 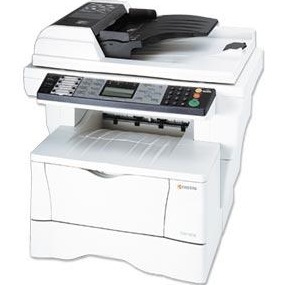 The CS-1820 is ideal for small and home offices in need of a fast multifunction printer that provides networking without the bulk of some business models. It does lack options for wireless printing, but this won't be too much of a setback for those in a wired environment.